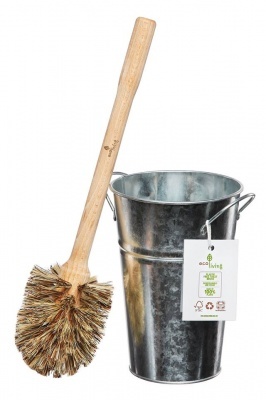 A plastic-free toilet brush & metal holder set. 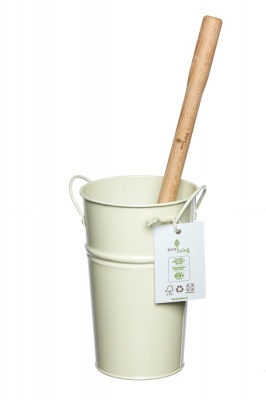 Biodegradable and from natural renewable materials. 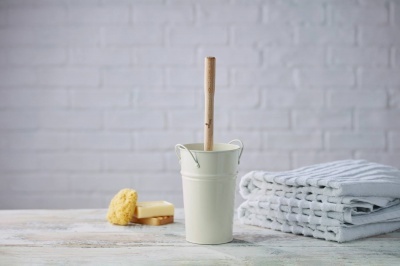 If you would like to order the toilet brush only it is available here. A plastic free toilet brush, with plant-based bristles with a vintage metal holder. Looks great in any bathroom! If you would like to order the toilet brush only it is available here. 100% biodegradable and vegan. This plastic-free set is made from sustainable materials. 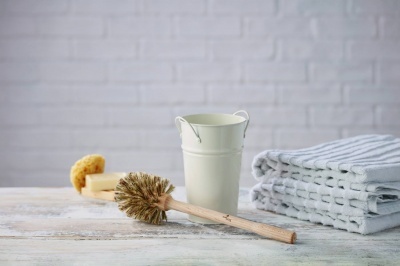 A toilet brush with plastic bristles can also shed hairs that can end up in the ocean, the bristles on this brush are plant-based and 100% biodegradable. Handmade in Europe by ecoLiving. 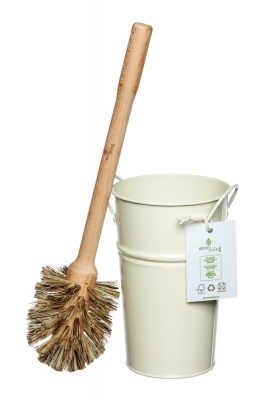 Biodegradable and compostable toilet brush, from all natural renewable materials, with a biodegradable and recyclable metal holder. 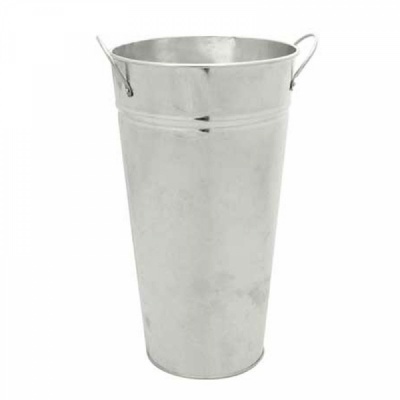 Rinse the holder and reuse!